Our BOARD AND TRAIN PROGRAM is normally a two week program. Dogs learn all of their basic commands; sit, stay, down, come, and loose leash walking. We address all types of behavior problems such as jumping, chewing, biting, barking, nipping, leash walking, dog aggression, people aggression, waiting at the door, etc. At Bunker Hill Kennel we use positive reinforcement training, with praise and reward. Dogs will receive lots of tender loving care throughout their stay during BOARD AND TRAIN as well as plenty of time for exercise and conditioning. Our program is the perfect program for owners with more love than time. Those who are not able to attend dog training puppy classes or dog obedience classes. Bunker Hill Kennel is here to help. 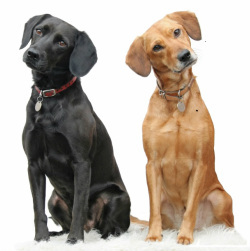 Every dog is different; we confer with you and customize our program to meet your needs. We use positive training techniques. While participating in our BOARD AND TRAIN program, owners are informed of their pet's progress with weekly updates. The $429 cost of our weekly program includes training, boarding, feeding and care of your pet. We will schedule an owner training session to train the owner, at the time your pet is scheduled to go home. This is all included in the cost of our BOARD AND TRAIN program. If you have questions on the program give us a call. Daily training and refresher courses are available too. Please refer to our rates page for further information.